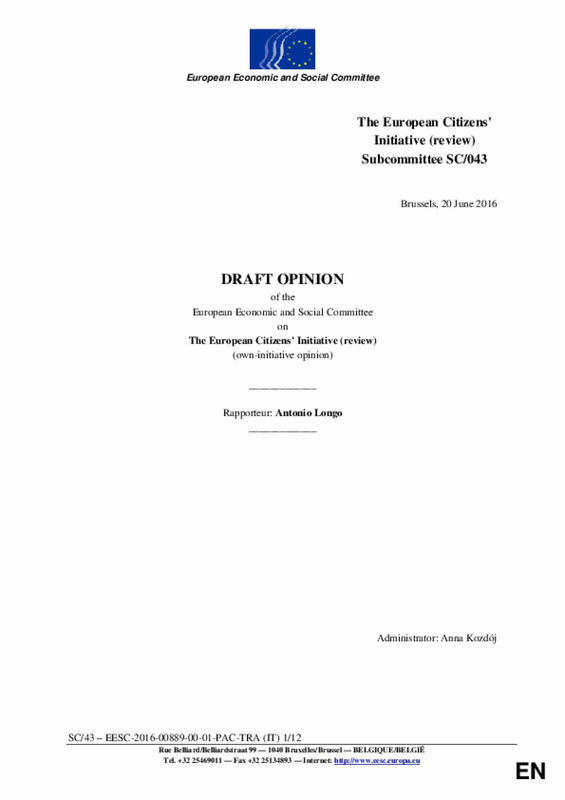 Four years after the ECI regulation entered into force, the European Economic and Social Committee (EESC) points out that Europeans are at the heart of the European venture and this mechanism could help overcome the democratic deficit by promoting active citizenship and participatory democracy. In line with the views already voiced by the European Parliament, the Committee of the regions and the European Ombudsman, the EESC considers that the European citizens initiative has not achieved its full potential because of a regulation that should be revised. Copyright 2016 by European Economic and Social Committee. All rights reserved.